I have a rule in composing my plates. I like putting more NATURAL colors as much as I can to make it more festive to the eyes and to our bodies too. 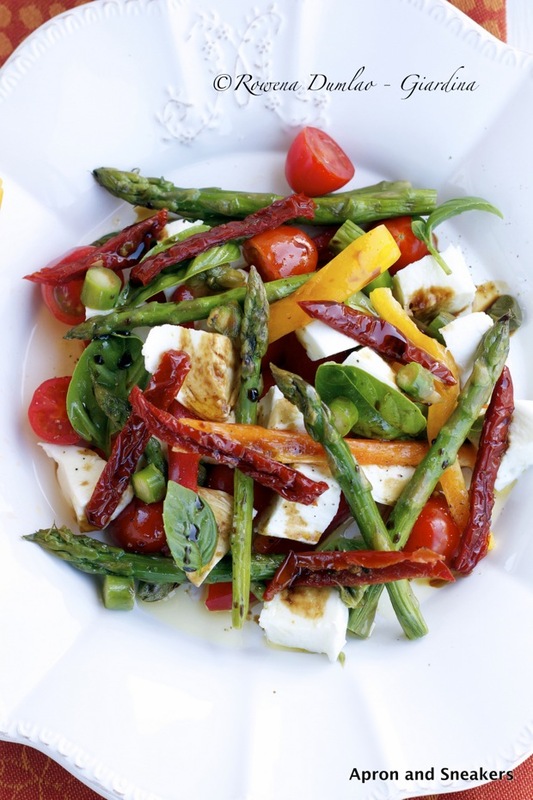 This salad epitomizes what health food is all about without sacrificing the taste. 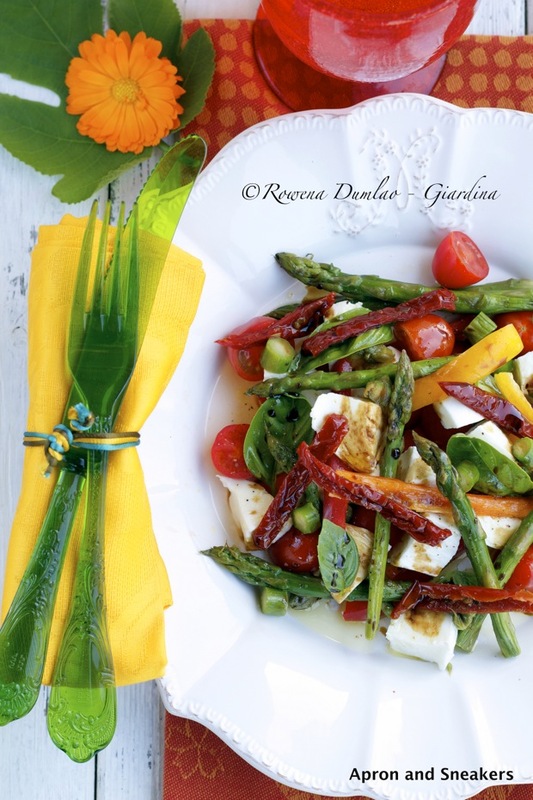 Fresh mozzarella goes with everything, especially in salads, which I love combining it with. Just a little ball will do with a dish like this. It's summer and let's enjoy all the fresh things growing around us! Enjoy the heat with good, healthy food! Click on this link to go to SheKnows.com for this recipe. If you want to see the other recipes I created for them, click on this link.